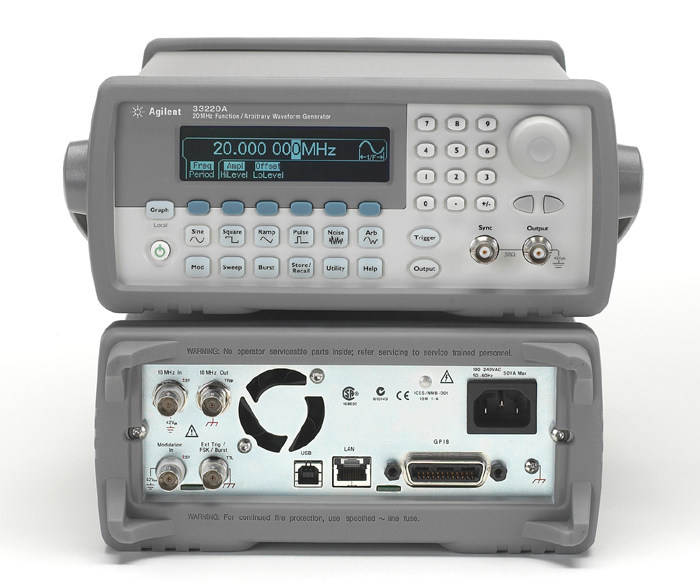 The 3325B is a generator/waveform synthesizer with frequency accuracy, resolution, and stability that are ideal for applications such as crystal filter test, multiplexed communication system testing, clock/timing simulation and audio frequency system testing. Exceptionally linear triangles and ramp signals are produced with synthesized accuracy and stability for applications such as VCO testing or process control. The dc-to-21 MHz frequency range (sine) makes the 3325B ideal for high-performance video system testing. Pure sine waves or high quality squarewaves can be combined with up to 5V of DC offset to interface with biased circuits or for stimulus in digital environments. In modulation applications, let the 3325B provide the carrier for a modulation source, or use the internal modulation source to get modulated signals from the 3325B alone.